The Civic to Gungahlin light rail project will be overseen by a sub-committee consisting of Andrew Barr, Simon Corbell and Shane Rattenbury. This was announced on Andrew Barrs facebook page today. 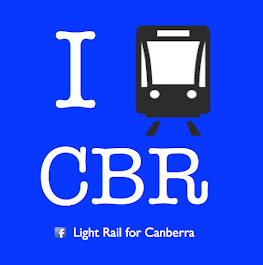 ACT Light Rail will be contacting this group in the very near future. The ACT does not have a 'transport minister', transport being such a small and unimportant part of peoples lives. This minor portfolio is divided into components such as road maintenance and ACTION Buses, within the auspices of the Territory and Municipal Services portfolio. "Territory and Municipal Services (TAMS) provides many of the services that Canberrans enjoy daily, such as building and maintaining paths and roads, libraries and waste management. It also manages Canberra’s urban and natural environment, such as nature parks, playgrounds and streetscapes. “My goal will be to deliver these local Government services effectively and efficiently, as well as to continue improvements and innovate in key areas. “The Greens-Labor Parliamentary Agreement sets out several exciting areas for progress in TAMS, such as improved buses and progressing light rail, enhancing biodiversity protection in Canberra’s nature parks and on rural lands, and cleaning up Canberra’s lakes. Read a Canberra Times article on the new ministerial allocations here. ACT Light Rail were advised before the Assembly election that management of the Civic to Gungahlin project would be handled by the Land Development Agency. We will be seeking clarification on the structure of any committees and bodies responsible for delivering the first stage of Capital Metro. In one important area it makes sense as light rail needs to be integrated with ACTION bus services. Improving ACTION bus services is a whole different sack of cats, which is brave for a new minister to tackle. I'd urge all reading this to visit our Facebook page. Snippets which don't make the webpage are often posted there.